The world of eLearning has flourished in the last decade. Online teaching tools are evolving to boost efficiency, bridge gaps as soon as they appear. An LMS Software (LMS) is one such platform that is helping to improve eLearning ROIs, increase learner motivation, and create effective online learning programs. In its most primal definition, an LMS is an e-learning software for administration, documentation, tracking, reporting, and delivery of educational courses or training programs, especially for educational institutions, test preparation centers, and even organizations for delivering various kinds of training and onboarding. Amidst the changing education landscape, learning management systems have gained a strong foothold. 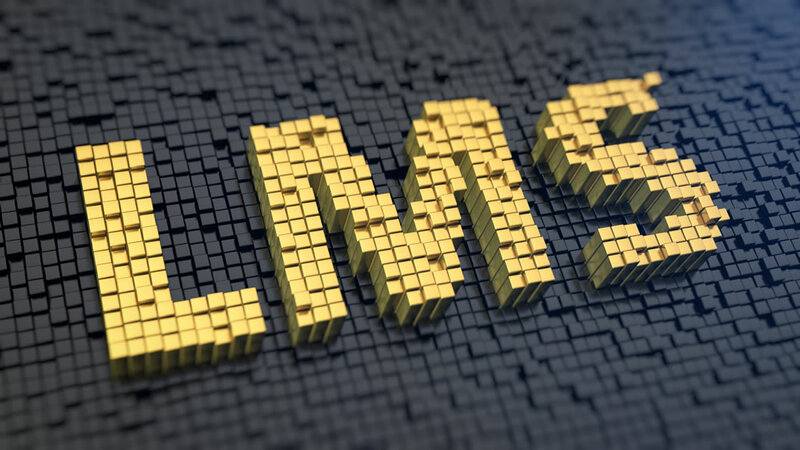 A report by Zion Market Research says that the LMS market is growing at a steady rate and was valued at around USD 5.19 billion in 2016, with the scope of reaching USD 19.05 billion in 2022. So, what are some of the features that make a learning management system the best? Offers Virtual Classroom– Thanks to the Internet, learning doesn’t just have to be restricted to a physical classroom anymore. An LMS with a virtual classroom can bring students together, regardless of their location, to enable education. A virtual classroom has features such as a whiteboard, two-way writing control, and live class recording feature. An instructor has the option to run ppts, videos, share screen, all while being present in the virtual classroom. This method of delivering a lecture is also called a synchronous or an instructor-led class. Enables Asynchronous (self-paced) Courses – One of the vital features for improving engagement and knowledge retention is asynchronous learning — the ability to learn and complete coursework at one’s own pace. Ideally, the LMS platform should allow the instructor to upload as much content as required. While asynchronous courses are file/content heavy, the LMSs are doing a great job in providing ample storage space to instructors and trainers to store their files on cloud. Offers Customizability and Adaptability – This is an important point that comes to mind while choosing an LMS. An LMS should allow users to customize the LMS platform with One of the most expected features in customization, often requested by education service providers is that the LMS must be able to provide the option to change the look of the platform, based on the institution’s branding. The LMS should also be adaptable to adjust to the instructor’s existing IT infrastructure and be capable of handling small or significant changes in user-base. Integrates Games and Gamification: Gamification is an important tool to keep learners engaged and motivated through online courses. By 2022 the global gamification market will be valued at $22.9 billion. Learning Management software now allow gamification apps to be integrated in them, providing a unique experience to learners. Provides Multiple Tests and Assessments – It is essential to understand where the current crop of students stand regarding abilities and skill sets to be able to design the most effective eLearning course. For this to happen, the LMS should provide an online exam builder feature that lets the instructor create multimedia tests in different formats to assess the performance of learners. It should also be able to generate comprehensive test reports and scorecards to analyze the performance of learners. Generates Reports and Analytics – Measuring the efficiency of an eLearning course is vital to understanding the effectiveness of the online program. Analysis of class and course performance with attendance and course-completion reports helps address learner progress. By highlighting weak areas of students/class, eLearning analytics allows instructors take remedial actions and offer personalized learning, if necessary. Additionally, reports and analytics help instructors get faster ROI and ensure course success with targeted efforts to address specific issues. Enables Mobile Learning – A report states that worldwide revenue for the mobile learning market is expected to reach $37.60 billion by 2020. An up-to-date LMS will facilitate learning and content management seamlessly on mobile devices, without being connected to the internet at all times. A mobile learning application for both Android and iOS devices that lets learners access course content and attend live classes directly from their smartphones and tablets is extremely helpful. It helps students start learning instantly without investing in expensive laptops and computers. Supports E-commerce – LMSs that are ecommerce enabled, allow the instructor to create paid online courses and live classes, all with a single click. However, the system must ensure the security of sensitive information (card, account and bank details). Another important consideration while looking for an LMS should be its ability to provide payment transactions and related reports through the LMS platform. Smooth Interface: An interactive, easy to use LMS will be adopted by the user faster – ensuring that both the instructor and the learner are able to navigate smoothly. LMS’s use various design features and functionalities that impact the software’s interaction with the user. A clean and intuitive interface is usually good-looking, and easily navigable. API and Plugins: Some LMSs provide API and plugin functionalities which help a part (for example, the VC component) or all of the LMS to be integrated into another ERP or business solution. A learning management software with the latest technical support, robust assessment, and clear and manageable learning outcomes should be accessible to all learners and are vital to reducing learning inefficiency and surviving in a competitive world. Choosing an LMS with these must-have features will not only help you achieve your goals but also establish your stronghold in today’s educational and professional environment. Author Bio: Ila Mishra is a Content Specialist and Blogger @ WizIQ, a complete eLearning software. Passionate about writing on e-learning, online training, and educational technology. Previous articleWhat Happens in the Brain When You learn a Language?